A newly refurbished 110 sqm penthouse on the fourth/fifth floors with panoramic south facing views over the Hoe and Plymouth Sound and east facing views over the city towards Dartmoor. The big lounge includes a large sofa, from which to unwind and relax after an exciting day in Plymouth. Choose to cook up some culinary delights in the extremely modern kitchen, or head out to the city and be spoilt for choice by restaurants within a few steps! 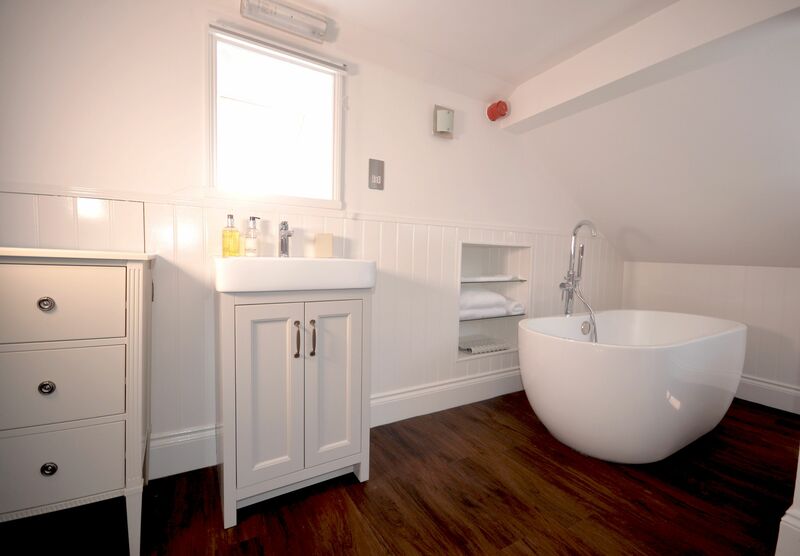 The double bedroom is ensuite with a large bathroom and separate shower and upstairs is the attic bedroom with two single very comfy beds plus a double day bed with bath and basin as well. The beds guarantee you a good night’s sleep. 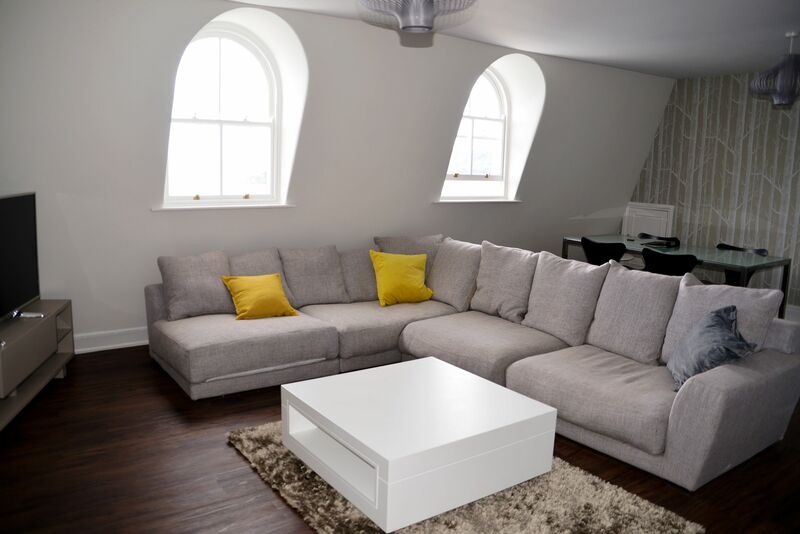 The whole apartment oozes in style and glamour with views all over Plymouth and beyond, without compromising on space and facilities and all home comforts.